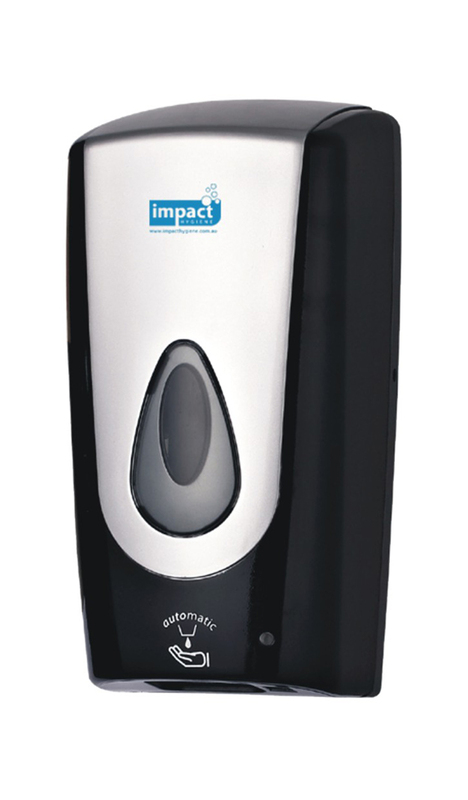 Slim line wall mount, automatic no touch soap dispenser. Modern design. Utilises liquid soap and dispenses foam. Foaming soap uses less liquid than drop method. Lockable for anti theft and hygiene purposes. This dispenser automatically distributes soap when hand is waved under dispenser. It can dispense an exact dose of foam or liquid soap. 1100ml of liquid soap caters for over 2000 doses. Convenient warning lights give notice when soap or batteries are close to replacement. Utilises energy saving technology to maximize battery life.